I am starting to think about my front and rear suspension and I want to make sure everything is in good working order and just understand it better. Currently, my steering wheel is not straight when I am driving straight. Not sure if the alignment is out of whack or if the steering wheel is out of whack. 1. How can I make sure my suspension is properly tuned up and in working order? 2. I would like to set my own alignment. I have read that I need one of those magnetic castor/camber 'levels' and drive up on wax paper, trash bags, or two pieces of Plexiglas with lube in between. 3. Is there an order I should follow to make sure the suspension is running well? I have done a lot of searches and everything ends up giving me information on upgrading my suspension. I just want the stock suspension but working well. Thanks for reading and thanks in advance for your response. EDIT Image: It was too big. Last edited by MustangDadDrake on Sat Feb 09, 2019 1:21 pm, edited 1 time in total. Yes something is out of wack! It might be only that the toe in setting was done without the steering box being set on the high point / center point. 1. Check all the moveable parts for wear or looseness. 2. You can use one by setting one side at a time or with two if you want to do both of them together. Off center wheel usually is maladjusted tie rod ends causing not centered box unless steering wheel has been off or switched. Hi, it is nice to know all the alignment numbers from a computerized machine. Using a machine it is also easier to find what is out of whack. That being said, I would check the toe with a tape measure and a couple of 2x8 boards leaning against the front wheels. For instance, if you measure 62 1/2 inches in back of the front wheels, and 62 1/4 inches in front, you have 1/4 toe in. My Saturday night stock car buddies use "toe plates" all the time. I don't know what the specs are for your car, and modern cars measure in degrees anyway. 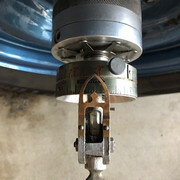 I would look for @ 3/16 toe in, on level ground, steering wheel pointed straight forward,and air pressure set, but more important is that the steering box be centered before any changes are made. Here is where the computerized machine is better. You can center the box and dial in each side perfectly. Most cars just need the toe to be set, and toe is the easiest adjustment to check and adjust. Without an alignment machine it is not always obvious which wheel to adjust on, and remember a small 1/2 turn of the tie rod sleeve is a big change in toe. 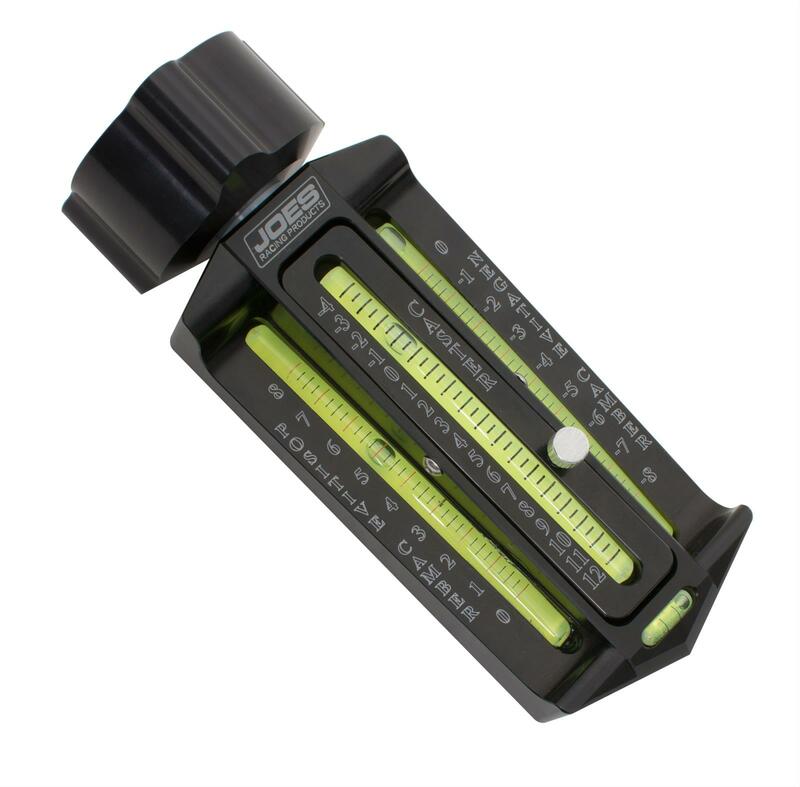 We also use a magnetic castor camber gauge. You can't just turn the wheels on the ground because friction will ruin the measurements. You need the wheel plates to eliminate friction between the tires and the ground. 1960 to 1970 Ford, Mustang, & Murcury Alignment settings with or without the Arning / Shelby drop. 1. It is very important that you have no more than .25 degrees of difference from passenger to drivers side. 2 A. For a light weight small six car 144 to 200 engines 1.0 to 2.0 degrees of castor but note that on non power steering street use car that the more castor you use the steering effort increases when going slow like parking so this is a good reason to use a roller idler arm for reduced steering effort. With power steering you can use the 2B specs. 4. 1/16 to 1/8 inch toe in. There many of other mods can be added a little at a time or as your budget allows, Some of these parts you might be able to make yourself depending on your skill level. Good luck. Thanks guys for all the responses. I plan to get under there this weekend and see what is going on exactly. I do think something is wrong with the steering wheel. Probably removed when they redid the interior so Im going to take that off and see what is going on there. Also it is a little lose so I will tighten it up as well. Yes I believe the best way to do this would be using the computer but 2 places have failed in setting the alignment because they do not know the specs (and I did not at the time). I figure I would learn how to do it my self. Even the old alignment plates/tables are expensive for me. Especially when I do not plan to set the alignment often. I think I will take Powerbands advice and use the tiles with grease in between. Most importantly thanks for explaining the toe measurement to me I have read that before but your explanation really made it click for me. Thank you for sending me the specs on this and thank you for the links to all the upgrades I think export bar would be first on my list once I get it all dialed in. I will keep you guys updated with some pictures hopefully soon. 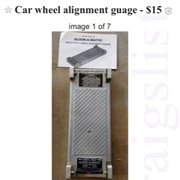 Hi, if you paid for a alignment you should get the numbers, a printout or screenshot. .12 to .50 * on a compurized alignment machine. Camber is weird, old school guys will give a little more on the passenger side, but Bubba gives good normal numbers. The issue is castor and camber are a pain to adjust. Also it is important to clamp the steering wheel so it doesn't move after the steering box is centered. Photos from the shop manual. Hi, you can check and adjust the front end without the special tools. Any adjustment on the strut for castor, the eccentric for camber, and the tie rod sleeve for toe will affect the other adjustments. In other words, changing the castor will change the toe (to a lesser degree). I would get the castor and camber set first, and set the toe last. If you can measure and post your numbers before changing anything you will get more feedback before diving in. My Chiltons manual gives different specs the Bubba gave. I decided to get some old tools I found on ebay to measure castor and camber. I am planning to use trash bags/plexi glass with grease as turn plates and use a protractor to measure degrees. My air compressor should come in today so I can inflate the tires to proper PSI. There are a couple other things I want to get before I run my tests. I should have measurements and updates in a couple weeks.